Dutch language video about what was in 1969 the largest refinery in the world and still is the largest in Europe. That’s not us saying so, but the world’s largest investment group BlackRock. These people are not particularly concerned with depleting resources, deteriorating environment or climate change, but in hard money only. BlackRock, the world’s largest investment group, with $5 trillion in assets — more than the world’s largest banks — has begun to bet on clean energy. Why? “The thing that has changed fundamentally the whole picture is that renewables have gotten so cheap,” said [Jim] Barry. President Trump is betting on reviving America’s coal industry, but BlackRock considers that to be a mistake. [seeker.com] – How Powerful Is Big Oil? The world oil overproduction is now so bad that oil-tankers are used as storage facilities and parked one the Atlantic, waiting for customers. Like 40 crude tankers with a combined cargo capacity of 28.4 million barrels waiting to anchor near Galveston. Solar & wind breaking through? Everybody busy with saving energy? Everybody switching to small cars? Young people no longer bothering to own a car and instead use their location aware mobile gadgets to share a car? 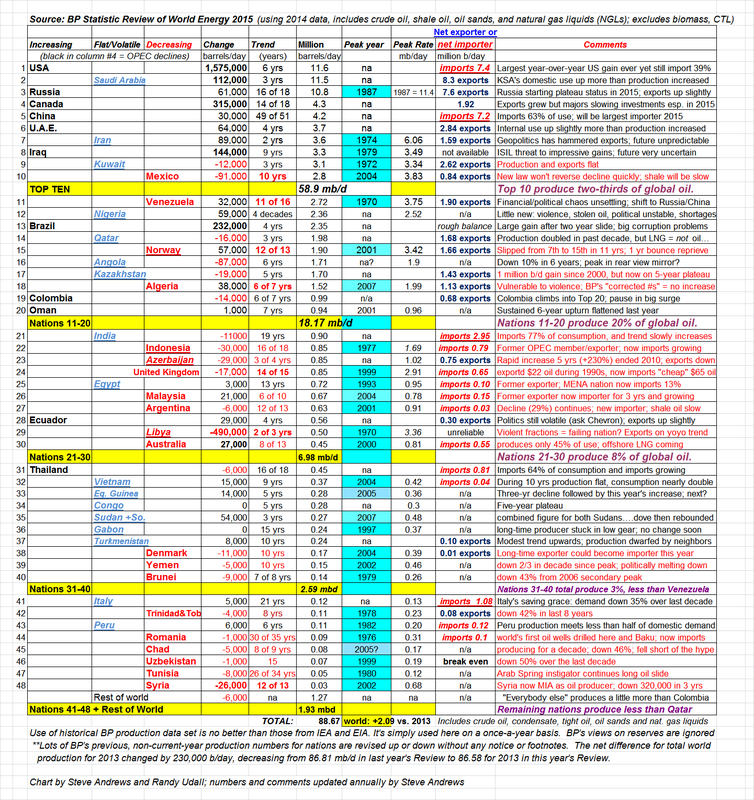 Economic recession, denied by western governments? Very mild ‘winter’ in Europe, vastly lowering house warming fuel consumption? Increased fracking production, outpacing ‘peak-oil’ supply contraction? The Origin of Oil: Organic or Abiotic? Discussion about whether oil has an organic or abiotic origin. The latter theory is popular in Russian scientific circles. We are agnostic on this question, although we never understood how oil can be of organic origin and yet seems to concentrate in huge oil fields. Perhaps the real answer is that oil can be either of organic or abiotic origin. Perhaps the largest oil field on earth Ghawar is of abiotic where shale oil is of organic origin. 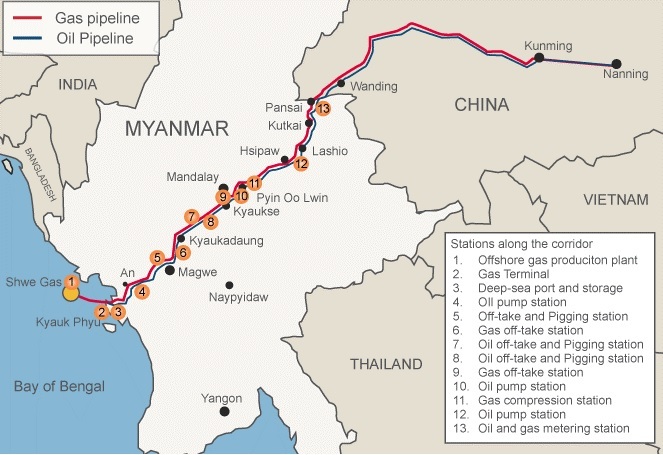 [source]Sino-Burma pipelines refers to planned oil and natural gas pipelines linking Burma’s deep-water port of Kyaukphyu (Sittwe) in the Bay of Bengal with Kunming in Yunnan province of China. 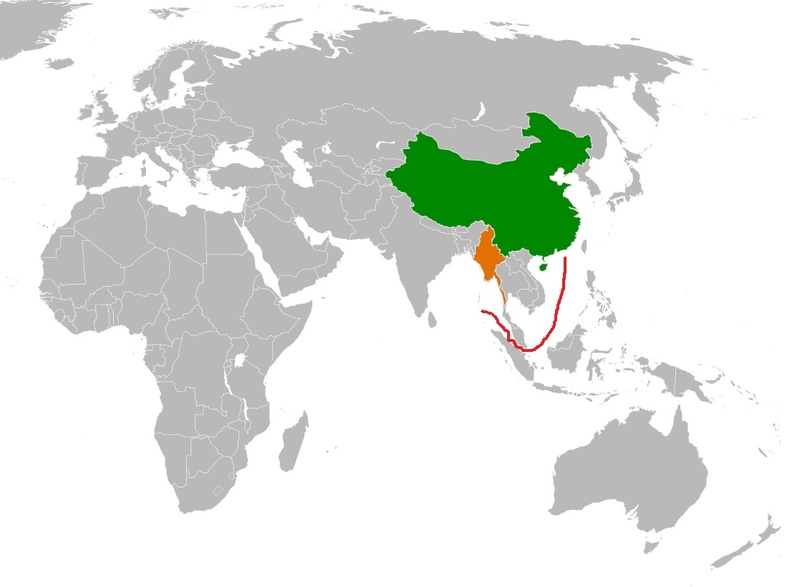 The Myanmar section of the gas pipeline was completed on 12 June 2013 and gas started to flow to China on 21 October 2013. The oil pipeline was completed in Aug, 2014. The oil pipeline will have a capacity of 12 million tonnes of crude oil per year. The gas pipeline will allow delivery of natural gas from Burma’s offshore fields to China with an expected annual capacity of up to 12 bcm of natural gas. On the 29th of January, China opened, with little fanfare, a new oil link through Myanmar… This 2,400km long pipeline runs through some of the most rugged areas on the planet, marked by jagged hills and ridges and dense jungle… The new route however, has one invaluable advantage in eyes of Chinese leaders: it bypasses the Malacca straits, whose infamous waters are infested with pirates… The pipeline shortens the distance the oil will have to travel by sea to reach China by 700 miles. It also cuts by 30% the time this liquid black gold will take to get to the Middle Kingdom… Avoiding the Malacca detour had the other, even more invaluable advantage in the eyes of the Chinese leadership. With 80% of all imported hydrocarbons to China going through the Malacca sea-route, China is vulnerable to having its overseas energy supplies blockaded by the American 6th Fleet during a Sino-U.S. geopolitical crisis… Another even bigger behemoth project is now in the works, a railway line is being discussed, which will follow the route taken by the pipelines. This project has a price tag of $20 billion dollars and would allow China to more easily import Burma’s precious wood and all sorts of other commodities, while also facilitating the flow of Chinese workers to the coast. The new pipelines circumvent the 805 km narrow passage of the Straits of Malacca. 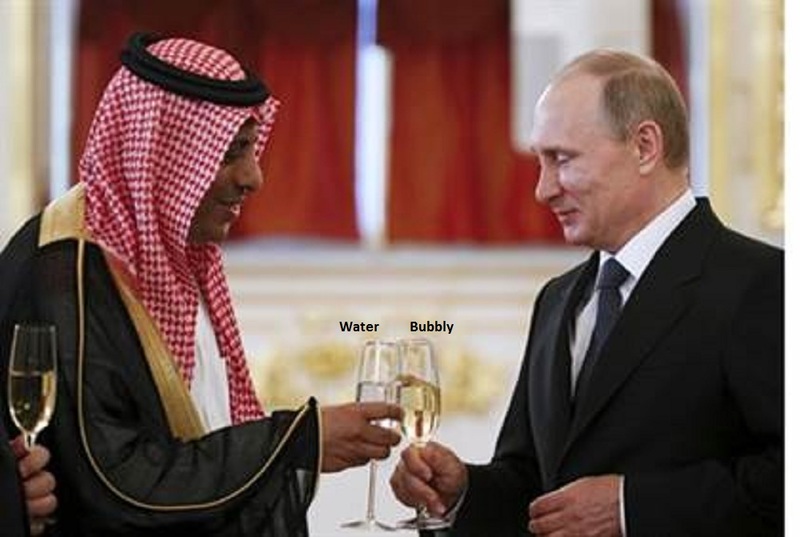 Russian-Saudi thaw. 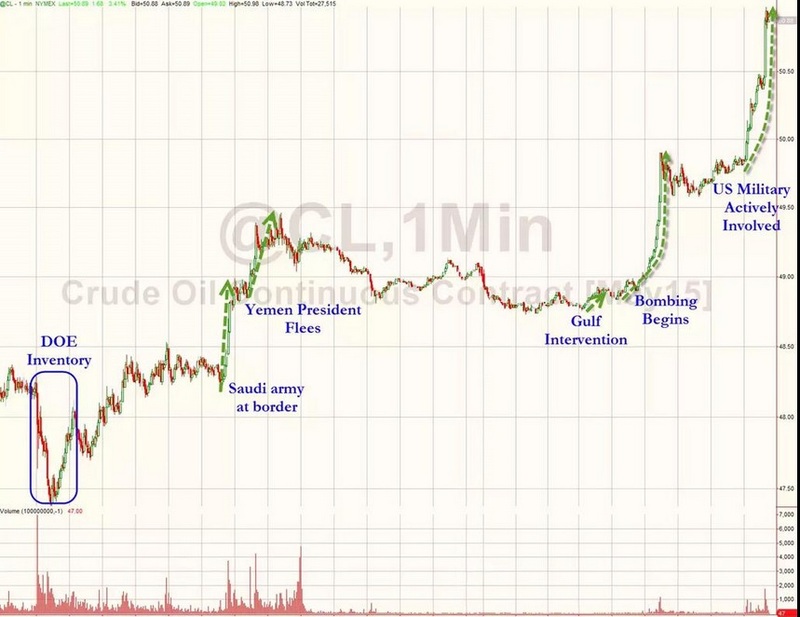 Last year September there were rumors/conspiracy theories that the oil price crash was the work of Saudi-Arabia, that had turned the tap open full blast after instructions consultations with US foreign minister John – where’s my bike? – Kerry. 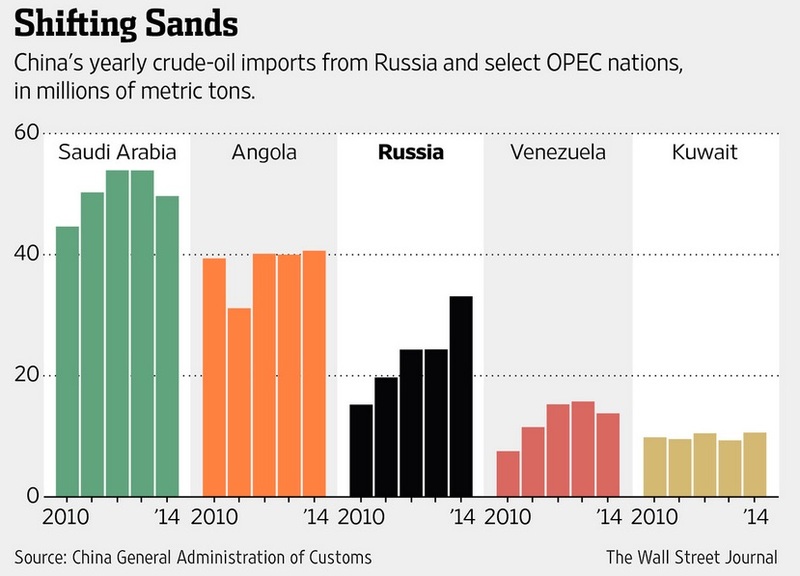 Purpose: hurt Russia with low oil prices. Whatever the truth of that, those were the days that are no more [Alfred, Lord Tennyson]. This is 2015 and Saudi Arabia is a little bit angry with the US, that all of a sudden plays nice with Iran. And what do jealous lovers do? Right, they pick up the phone and call an old lover, the one lover Saudi-Arabia knows the US hates most: Ivan, just to rub it in. The two new found partners inked six deals concerning oil cooperation, space cooperation, peaceful nuclear energy cooperation, and nuclear technology sharing. 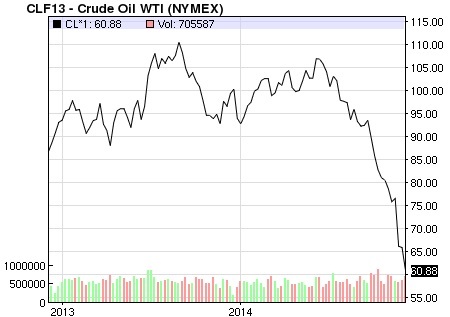 “Improving oil prices” from the point of view of oil producers probably means “increasing oil prices”. Editor: we hope and also expect that oil prices will increase soon, because peak oil is finally upon us. We need higher oil prices to ensure that sun and wind remain competitive and that the transition momentum doesn’t stall. And furthermore we want to see a Russia with a full purse, if necessary at the cost of Europe. Not because we are traitors to the European cause, we are merely traitors to the West, which we want to see blown up, to pave the way for Paris-Berlin-Moscow and the resurrection of European civilization at the end of the age of globalism and Anglo-Soviet 20th century. And old, ‘backward Russia’ all of a sudden has found new strength and has become European avant-garde. 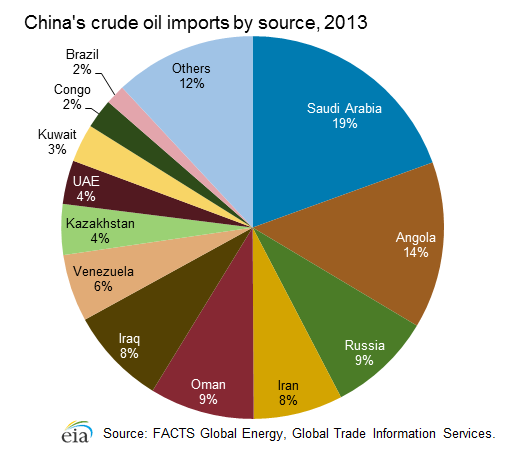 Where does China get its crude oil from? Gazprom has confirmed that since the beginning of the year, all oil sales to China have been settled in renminbi. The chairman of ASPO Kjell Aleklett reports of a recent visit to the Canadian oil sands mining operation in Fort McMurray. 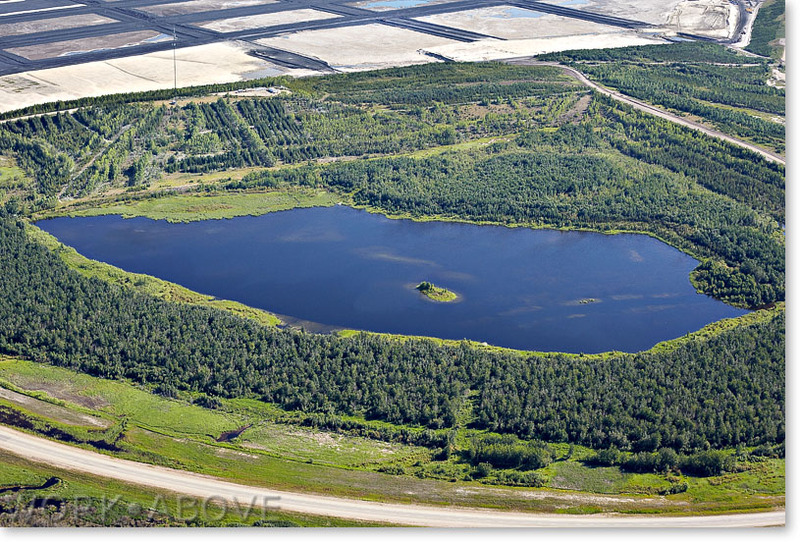 The road Fort McMurray to Fort McKay passes the heart of the Canadian oil sands industry. I travelled from Fort McMurray to Fort McKay, a distance of 58 km. 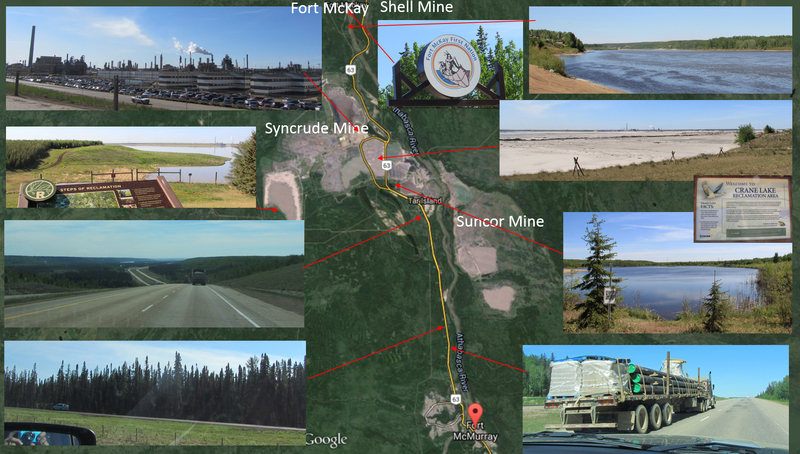 Along that route I passed near part of the heart of Canada’s oil sands industry including Suncore Mine, Syncrude Mine and Shell Mine. Before I arrived in Fort McMurray I had no real understanding of the size of the area from which oil sands are mined. If one draws a circle of 50 km radius then that will encompass the heart of the mining activity. A little less than I had imagined… Places where industrial activity is ongoing, especially where mining activity is occurring, are not pretty to look at. The oil sand mining along Highway 63 is a clear example of this. But they show also that it is possible to rehabilitate these areas. Original undisturbed landscape. What an empty space! The oil production rate is currently 1.9 million barrels per day (Mb/d). 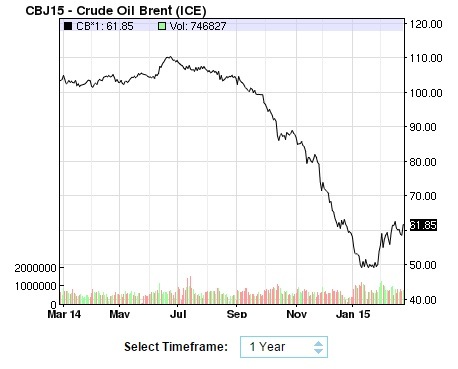 The current lower oil price makes it uncertain whether this production rate will increase. In our 2007 publication we predicted maximal possible production from the oil sands in 2015 at 3.5 Mb/d so it is clear that current production is not following our “crash programme scenario”. According to Canada’s prognoses production in 2025 will be 4.5 Mb/d, a rate that seems far from possible…. In the OSCA text on the oil sands they give Canada’s producible oil reserves as 173 billion barrels, of which the oil sands represent 168 billion. If the production rate increases to 2.7 Mb/d then sufficient oil sands exist for over 150 years of oil production. Installed Wind capacity: 9 GW. Plan until 2025: 55 GW (20% electricity). Hydro electricity: largest in the world. Editor: report confirms that from an energy perspective, Canada is probably the country one needs to worry about least. Low population density, lots of hydro-power, lots of space with large wind power potential. The West believes that oil has an organic origin. Russia believes that oil originates from the core of the earth and migrates to the earth’s surface under pressure until it is halted by a granite ‘roof’. Engdahl believes that the Russians are right and that under the right circumstances oilfields could replenish. Editor: without taking sides in this issue, it is interesting that oil accumulates in oil fields and that oil is not universally present, where in contrast life is. Good news for Russia, they’ll be back in business very soon. Poor Europe.